In today’s episode, we help Rocio transition her freelance business into an online business. Jocelyn Sams: Hey, y’all. On today’s podcast we help Rocio transition her freelance business into an online business. Shane Sams: Welcome to the Flipped Lifestyle Podcast, where life always comes before work. We’re your hosts, Shane and Jocelyn Sams. We’re a real family that figured out how to make our entire living online. Now we help other families do the same. Are you ready to flip your life? All right, let’s get started. Shane Sams: What’s going on everybody? Welcome back to the Flipped Lifestyle Podcast. It is great to be back with you again today. Super excited to have another member of the Flip Your Life Community on today’s show, and we love shows like this because it’s someone we have actually met in person. We’re going to be celebrating a little bit of a success story today too, so let’s welcome to the Flipped Lifestyle Podcast Rocio Baeza. Rocio, welcome to the show. Rocio Baeza: Hey, guys. Thanks for having me. Shane Sams: We practiced. We’ve had a lot of hard names lately on the podcast, and we had to practice this one for a little while. Jocelyn Sams: I know, which is actually really cool because that means that our audience is from all different places. Shane Sams: Everywhere. That’s right. Jocelyn Sams: They are of all different nationalities, and we love that. We think that is amazing. We had to figure out how to say this name because, poor Shane, I mean he especially butchers this kind of thing. Shane Sams: I’m pretty much going with … You say it. Say it out loud. Say it yourself. Rocio Baeza: Rocio Baeza. Like you said, Shane, like rodeo but with an S.
Shane Sams: Rodeo. Yes, exactly. It’s so much more beautiful when you say it. Jocelyn Sams: Yes. There you go. Shane Sams: When I say it, it sounds like some butchered redneck with a bunch of rocks in his mouth. You know what? It is what it is, and that’s how we’re going to go with it. Jocelyn Sams: Okay. We need to know a little bit about this name and where you come from, so tell us a little bit about you, your background and what you’ve been doing so far in your day job and online. Rocio Baeza: Sure. 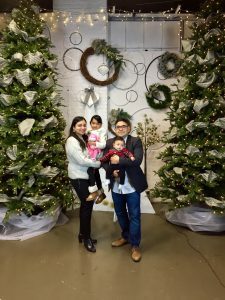 A little bit about myself, so I’m based in Chicago, and I am a wife, a mom of two. My professional background is in the cybersecurity space. For the last year I’ve been doing freelance work, so basically picking a project with tech companies where I help them figure out, all right, what do they have to do around security to protect the information that they have, and also, how do they get started and what are all the steps that they have to do in order to put together a cybersecurity program. Shane Sams: You also do some compliance with the GDPR stuff? Shane Sams: You do that too? Shane Sams: What do you do in that, just make sure that they know what they’re supposed to be doing with their data to be compliant with the European laws? Rocio Baeza: Yes. A lot of the cybersecurity work, my experience has been that it’s usually driven by compliance, so an organization has to comply with a specific law or regulation, think HIPAA, think GDPR. I’ve focused work around GDPR since it’s the acronym that we’ve all heard since May, and it’s something that I realize that organizations are going to need help in the area. Since this is just released, I figured it would be a good way to more or less ride that wave. Shane Sams: This privacy, handling people’s data, all that stuff is going to be a really big deal going forward in the future, and you’ve done the right thing. You’ve jumped on what’s on top of mind, and that’s really, really important. Jocelyn Sams: Yeah, I love that. I want to go back just a second to we were talking about before the podcast, you said that your family’s originally from Mexico, right? Jocelyn Sams: Did they move here before you were born? Shane Sams: You moved to California? Is that where you’re from originally? Rocio Baeza: Yeah. I was born in California, but I was raised in Chicago. Jocelyn Sams: Okay. I love that. I think honestly being bilingual could be an unfair advantage for you as we move forward. Jocelyn Sams: I’ve talked to people about this in the past, and there are a lot of Spanish-speaking people in the United States. Shane Sams: Spanish business owners who might need some of this. If you’re not focusing a little bit on that, that might be a good little angle to pick up extra people as we build out more passive income streams and freelance streams and things like that. Rocio Baeza: Yeah. I never connected the two dots there, so yeah, it’s something for me to consider. Jocelyn Sams: Yeah, for sure. Shane Sams: What is it, Hispanics are like, what, 30 million people in the United States? Jocelyn Sams: I don’t know. Shane Sams: Or something like that. Shane Sams: I’m not sure if that’s the right number. Someone’s going to send me a hate mail on that one, but I’m positive that there are hundreds of thousands of Spanish-speaking business owners who do not even realize they’re not GDPR compliant, would you say? Shane Sams: Now, did you do anything before you freelanced? That’s what’s really interesting to me. Did you work in corporate? Shane Sams: How did you get into freelance? Because freelancing is a kind of flipped lifestyle. We always talk about online business. 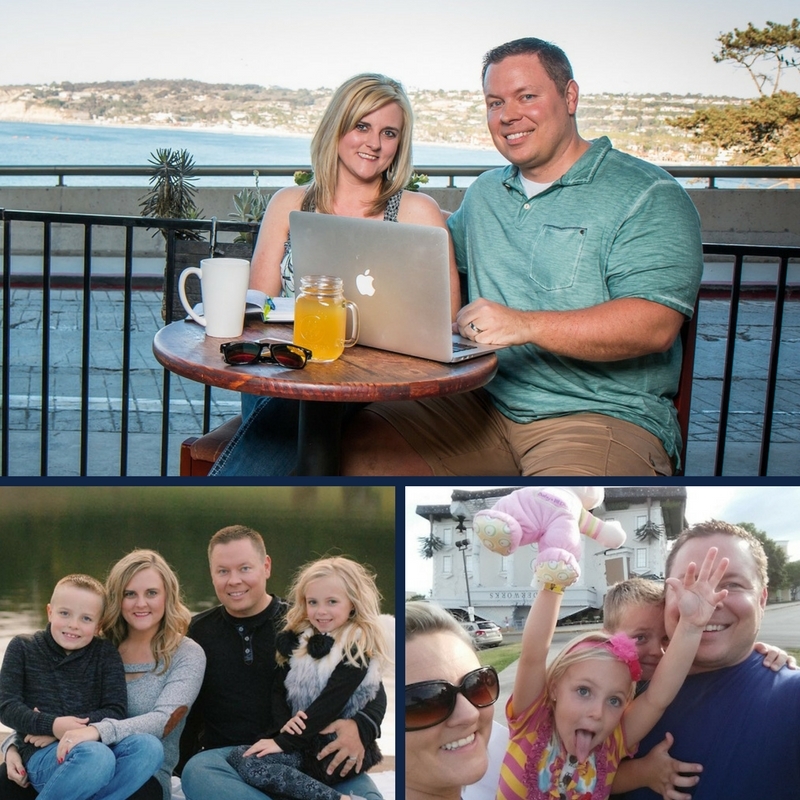 Jocelyn and I love online business, but we help all kinds of people create online businesses and freelancing and being a virtual assistant and just doing other things using the internet that’s not selling courses. How did you get into freelancing exactly? Rocio Baeza: Yeah. I got into freelance when I got laid off about a year ago. Let me walk you through how I got there. Coming out of school, I entered the corporate world. I was basically doing IT work, product management work for about seven years. It was during that time that I got involved with helping with security audits, and that’s something that I just fell into. My manager at the time, he needed some help with that. It’s something that was new for me, and I said yes. Rocio Baeza: Through that process, my company at the time decided to invest more in the data security space. They brought in an experienced person, and she basically became my mentor. She mentored me. She showed me the ropes in the cybersecurity space. Once I felt that I had reached the ceiling at that particular organization, I entered the consulting space. After being seven years working in the corporate world, I transitioned over to working for a consulting firm, a local consulting firm here in Chicago where I was basically helping other organizations with very specific cybersecurity projects. Rocio Baeza: I did that for two years, and we reached a point where the sales pipeline dried up. I found myself being at a crossroads where I was laid off on a day, and I did not see it coming. I did not have a backup plan. Rocio Baeza: I realized hey, I could either scramble and try to get another job at a company. Luckily for me, the job market in the cybersecurity space is very good, so I didn’t have concerns that I would be able to get a job after being laid off, but I also realized that hey, I could try to do something on my own. Rocio Baeza: Yeah. That’s how I made it to the freelance space. Jocelyn Sams: Yeah. I love that. Jocelyn Sams: May I just say that if I had lived in a city when I first got out of school, your job would pretty much have been my dream job because, I don’t know, I love everything, like technology and IT. When I was in college, that’s really what I wanted to do. I started out in computer programming. I know that many people who listen to the podcast probably would totally get this because I’m a bit of a nerd, but I mean, I just love that kind of stuff. Shane Sams: Jocelyn used to work at a computer lab when we first started dating, and I was like, “You work at a computer lab? What do you do?” She’s like, “Oh, yeah. I help people check their email and all this stuff.” Jocelyn when I first met her worked two jobs. She worked at Toys”R”Us and in the computer lab. She put together bicycles, believe it or not. Shane Sams: She would go to school during the day, put bikes together in the afternoon, and work in the computer labs at night. Needless to say, we didn’t have a lot of time to go out on dates and stuff, so sometimes I would go pick her up from Toys”R”Us, and we would go sit in the computer lab. She would sit at her little desk, and I would just sit at a computer over beside her. That’s how our romance bloomed. Shane Sams: In the dimly lit, musty computer lab of the engineering building at UK. Jocelyn Sams: Actually, it was the chemistry and physics building. Shane Sams: Chemistry and physics, that’s right. Jocelyn Sams: But we were way before our time, I just want to say, because we used to chat on Instant Messenger. What was it called, the one that we used? Shane Sams: We used, it was the MSN one. Wait, no, maybe it was AOL Instant Messenger. Jocelyn Sams: I can’t even remember. Shane Sams: No. It was MSN. It was the one that used Hotmail. I’m pretty sure. Jocelyn Sams: Yeah. I can’t even remember what it was called, but like ICQ maybe? Jocelyn Sams: We’re dating ourselves now. Shane Sams: Yeah, I know, right. People are going to be like, “What are these people talking about? They don’t even know how to use modern computers.” Jocelyn lived on the third floor in our dorm, and I lived on the second, and we would talk, like instant messaging on ICQ. Jocelyn Sams: But we were way before our time, I’m just saying. Shane Sams: Way before our time. Jocelyn Sams: Nobody else was doing this. Jocelyn Sams: No. I actually like talking via text because you don’t argue as much. You can’t talk over each other, so it works really well actually. Shane Sams: It removes the emotions from everything. Jocelyn Sams: Yeah. It really does. Yeah, that was, as my kids say, back in the 19s. Shane Sams: Back in the 19s, turn of the century. Anyway, let’s get back on track. Jocelyn Sams: We’ll get back to the 2000s, okay. Shane Sams: Okay. First, that’s amazing that you had the courage to do that, and I love the mentality of hey, if it doesn’t work, I’ll just go back and do what I was doing before. That’s exactly the conversation that Jocelyn and I had when we quit our jobs. We’re like, “Look, worst case scenario, we go teach again.” Kudos for you for even having the courage to go freelance and flip your life in that way. 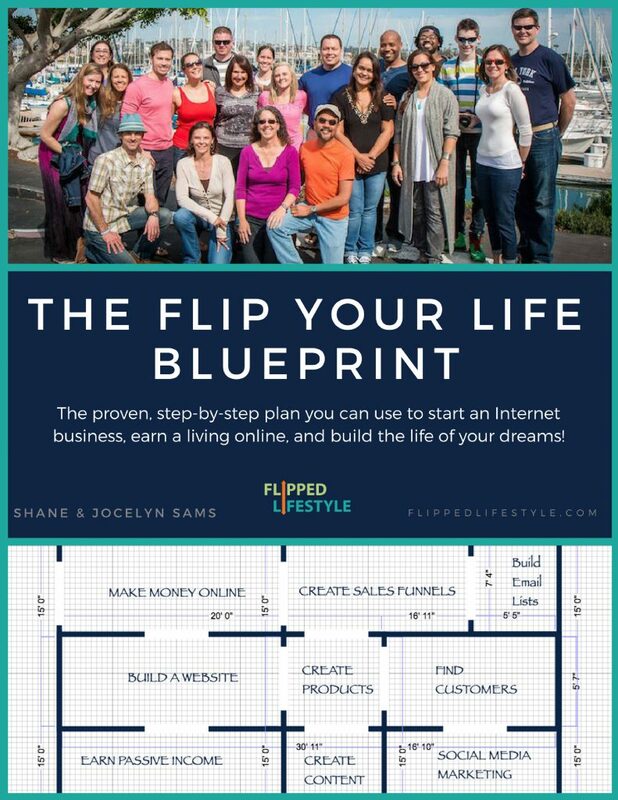 Shane Sams: Now as you’ve joined the Flip Your Life Community and you’ve gotten into the Flip Your Life Community, it’s more about building a passive version of this, correct? That was your goal was to build some kind of courses or DIY or a membership community based on where local businesses or small businesses could do this without a consultant. Is that what you’re doing now? Rocio Baeza: … and by the urgency of the client. With building an online business, I want to smooth out those edges so that I had more predictability as to how much I was going to be able to bring in. Shane Sams: It’s not just selling digital products. It’s even in freelance services, having a steady, consistent monthly fee from somebody. Because if you can’t predict your income, you don’t really have a steady income. You’re making money. You’re working, but you can’t look ahead and say, “Well, I know my rent’s going to be paid next month. I know I can invest in more ads. I know I can invest some time into sales processes,” because you can’t look ahead and say … You don’t know month to month what you’re making. That’s why it’s so important to create that stable, predictable income. What is your domain name right now? Rocio Baeza: Yes. The online business is GDPRStandUp.com. Shane Sams: Okay. GDPRStandUp.com. Now, you started working on this, I think, maybe about, let’s say, six months ago, give or take. You started building the site in the community, putting things together, getting everything outlined. Then you came to Flip Your Life Live, but you did not have this thing launched before Flip Your Life Live, right? Rocio Baeza: I had a website, but I did not have a virtual community that I can open the doors to. Right. Shane Sams: What made you want to come to our live event? What was important for you to be there for that event for the launching and the next steps in your business? Rocio Baeza: Really, I just wanted to be around people that had a similar goal and a similar mindset as I do. I thought that it would be fun going out to an event where I’m looking to educate myself, motivate myself. Just from the way that you guys would describe the event, it sounded like it was going to be very different than the conferences that I would go to back in the corporate days where you basically, you fly into a nice hotel; you’re basically in a room for the whole day. You’re listening to people speak, and you have this overload of information, but then you fly back home and then everything continues as normal. Rocio Baeza: The way that you guys were promoting the event, it sounded like it would be an opportunity to be around other people that wanted to build an online business and provide us with that space and access to you guys to help us move forward. Shane Sams: Okay. I’m going to plant a question here. Was it different? Was it what you thought it was going to be when you got there, and what did you think about the event? We love hearing this just because we’re trying to always be better ourselves, and we want to make the event the best thing possible for our members. What did you think about the event, and was it different? Rocio Baeza: I loved it. We hadn’t checked out of the hotel for the event when I had already told my husband that I was going to come back for next year. Shane Sams: What was your favorite part about the event? Was it the content? We had work sessions where we had 30 minutes in between each content session where we were actually putting things in place. We had a big six-hour working dinner where we all built websites and launched products and did that. What was your favorite part about the event? Rocio Baeza: My favorite part was the Q&A after each of the sessions. Rocio Baeza: I liked that it was learn, ask questions and then do in the breaks. By us having the opportunity to ask questions based on our challenges right now, I felt like it was very helpful so that whenever we had those 20 to 30 minute breaks we could put it into practice what we just learned and what we just got guidance on. Jocelyn Sams: Absolutely, yes. Well, one thing, I want to back up just a little bit because you told us something before we started talking. You were actually getting ready to have a baby before this event, right? Jocelyn Sams: And not just a little bit before this event. The event was in September, and you had your baby in August, right? Jocelyn Sams: Okay. The first question that I have is, did you know that you were pregnant when you bought the tickets? Shane Sams: It had to be January. Jocelyn Sams: They went on sale in January. Rocio Baeza: January. Then, yes. Yes, I knew that I was pregnant before buying the ticket. Yes. Shane Sams: I got this. Rocio Baeza: Oh my gosh. Shane Sams: Nothing. You did something pretty drastic to make sure that you could be present and at the event though, correct? Rocio Baeza: Yes. What happened was I basically ended up changing my birth plan so that I would be fully present for the Flip Your Life event. Some background here, right now I have a daughter and now my son. My daughter, she was born as a C-section. My doctor said that my son would also have to be delivered as a C-section because blah, blah, blah, that’s how you do things here in the US. I remembered it took me a long time for me to recover after the birth of my daughter. I felt like a zombie, and it was very difficult for me basically to get back into the rhythm of things. Rocio Baeza: I realized that if I was going to have a C-section with my son plus my five-year-old plus being a wife plus having my business, it was going to be very difficult for me to be mentally present at the live event. So I ended up firing my doctor, and I found a doctor that was VBAC friendly where they were open to trying delivering the baby naturally so that my recovery time would be smaller and I could actually retain the information at the event. Shane Sams: You had your baby in August, and you came to the event in September, correct? Rocio Baeza: Yes. That’s correct. Shane Sams: This is getting way personal. Did you go into labor, or did they induce it on a date or something like that? Rocio Baeza: No. I went into labor. Yeah. Shane Sams: But you planned all this out and like, no, I am firing my doctor and changing my birth plan so I can be at this event and learn how to take my business to the next level? Jocelyn Sams: Okay, my friend. Shane Sams: Is there anybody listening to this right now feeling bad? I feel bad. I was like, man, I should’ve been working harder for this live event now. Gosh, that’s insane. That is an amazing story. Jocelyn Sams: Somebody changed the way their baby was going to be born to come to this event. Shane Sams: This is where we’re going with this, tell them what happened after the live event because that’s the most important thing. All right, so you had your baby after changing the birth plan. You came to the event fully present and ready to work. You asked questions. You listened. You did the work at the event. What happened when you went home? Rocio Baeza: Yeah. I went home. I knew exactly what are the things that I need to focus on, and I basically said, “Hey, the members aren’t going to come to me. I have to go out there and find them. I have to form a beta group so that I can build more momentum here.” I would say it was two to three weeks after the live event that I was able to form a beta group with five paying members, and that’s how I launched. Shane Sams: Wow. That’s amazing. I don’t know how to say this without sounding bad about it, but Jocelyn and I talk about sometimes why we actually love our podcast. It’s just amazing when I hear a real person with a real family who’s really going out there and hustling in her freelance business, makes huge life decisions with the future of her family in mind, and then goes and takes action and it works. Shane Sams: When we get to hear these stories on our podcast, it really inspires us. That is an amazing story of accomplishment, not only just the courage to freelance and the courage to make that decision with your baby and actually take charge of your life, fire the doctor, get on an airplane, go from Chicago to Nashville just to be at a live event, and then to come home and actually take action. You just really deserve that beta group success, and you deserve everything that’s going to happen in the future. Shane Sams: Some people want that success. There’s a lot of people listening right now. I’m talking to you in your car or on a treadmill or wherever you are right now, you want this story to be yours. You want the result to be yours, but this is what it takes to do it. What she just said is what it really takes to make it happen. Jocelyn Sams: Yeah. There are people out there who make excuses. There are a lot of people out there who would say, “Oh, I’m pregnant now, and my baby’s just going to be a month old. There’s no way that I can go to an event. I’ll wait until next year. I’ll just go next year.” We did have one person who was pregnant with a high-risk pregnancy, and she didn’t end up coming. Shane Sams: There are circumstances, of course. Jocelyn Sams: The people who figure out a way are the people who make it, and the people who are going to say, “Well, I have this excuse, so I’ll just wait until next year,” or “I don’t have the money to make this investment,” or whatever, find a way. If you really want something to happen, you will find a way. Shane Sams: I heard a great thing on a podcast the other day where someone said, I can’t remember what I was listening to, but they said, “There’s a difference between a reason and an excuse.” Sometimes there are reasons that delay things, but if we’re all honest to ourselves, 80% of things that we use as a reason are actually excuses. Shane Sams: Just being able to take action after the event, it’s one thing to do all the work, build your website, go to the live event and come home and do nothing, which is what probably half the people do anyway, but man, you just did it. You got your beta members, and now you know what we say. If you find one, you can find 101. There’s other people out there, and you found five. Rocio Baeza: Yes. I found five. Jocelyn Sams: Yes. And not to mention, you still have a newborn. It’s not like you came home from this event and was just like, “Okay, well, I’m going to get started. My baby, don’t need to worry about him.” You still have him. He’s still a newborn who probably doesn’t sleep well. Shane Sams: You launched your beta group with a newborn baby in the house. I’m sure someone’s listening right now, and they’re like, “Man, I’d start this online business, but I’ve got a newborn.” But here, you can do it. Rocio did it, right? Shane Sams: I mean, anybody can do it. Rocio Baeza: It’s very hard, very many sleepless nights and frustration, but yeah, it’s doable. It may take longer with a newborn, but it’s definitely doable. Shane Sams: Everybody always tells us, we talk to people, and we hear all of the reasons or excuses. We hear a lot of the reasons, and a lot of times it is young children. Well, first, Jocelyn and I also did this, we had an 18-month-old child when we started our business. We were still very much in the sleepless nights, the terrible twos and all that stuff. You’ve got two examples right here on this mic, us and you. If two people are doing it and you’re not doing it, that’s a choice. That’s not a reason. Shane Sams: Another thing is, there is never really a time where that frustration and stuff stops. You just replace one phase with another. We’re in a very frustrating time of parenting right now ourselves with our 10-year-old and our seven-year-old. It’s just all of a sudden it snuck up on us. We felt really confident, I think, last year, and then they changed. Our 10-year-old boy, his mindset, his attitude, the way his brain is processing things totally changed. Our little girl, she’s about to turn eight, and it’s totally changed. Shane Sams: I would say actually I’ve been more frustrated as a parent in the past six months with our kid and not being able to figure out what buttons to push, but they know exactly what buttons to push in us because they’re thinking now. They’re getting strategic. They know what they’re doing. I think I’m more frustrated now than I was in that first six months of their life. Shane Sams: If you’re waiting for the right time or your kids to get a little older or things to get easier, I’m telling you from experience right now, you might as well start because it’s not going to get an easier. It’s just going to get harder. That’s not an excuse that you have little kids. It’s not an excuse that you got a 10-year-old. You just got to do it anyway or it’s never going to work out in the first place. Jocelyn Sams: Okay. Well, you’ve had a successful launch after the event, which is awesome, and you are serving your members, I presume, in this beta launch, right? Jocelyn Sams: Okay. The question that I have for you now is, what can we do to help you take this thing to the next level? Rocio Baeza: I would say I’m having a hard time finding the discipline to consistently do the things that are super important. I know that I need to find the discipline to build that consistency and just repeat it so that I can continue to serve my members but also grow that. I think the things that are tugging at me are things like dealing with the newborn, picking up my six-year-old from school, getting her ready in the mornings, washing bottles, doing client work for my freelance business. Rocio Baeza: I find myself creating a checklist of all the things that I have to do. I knock one or two out, but then I’m pulled in all these different directions. When I come back to my to-do list, I usually scratch off that to-do list. I create a new one, and I find myself moving, stopping, moving, stopping. I want to be able to build that discipline to do things more consistently. Shane Sams: This is a hard part of entrepreneurship, and you know this from your freelance gig too, right? You’re already feeling that there. It’s even harder in online business because at least with the freelance thing, you got to show up for somebody. You’re talking to someone. You’re moving with people. 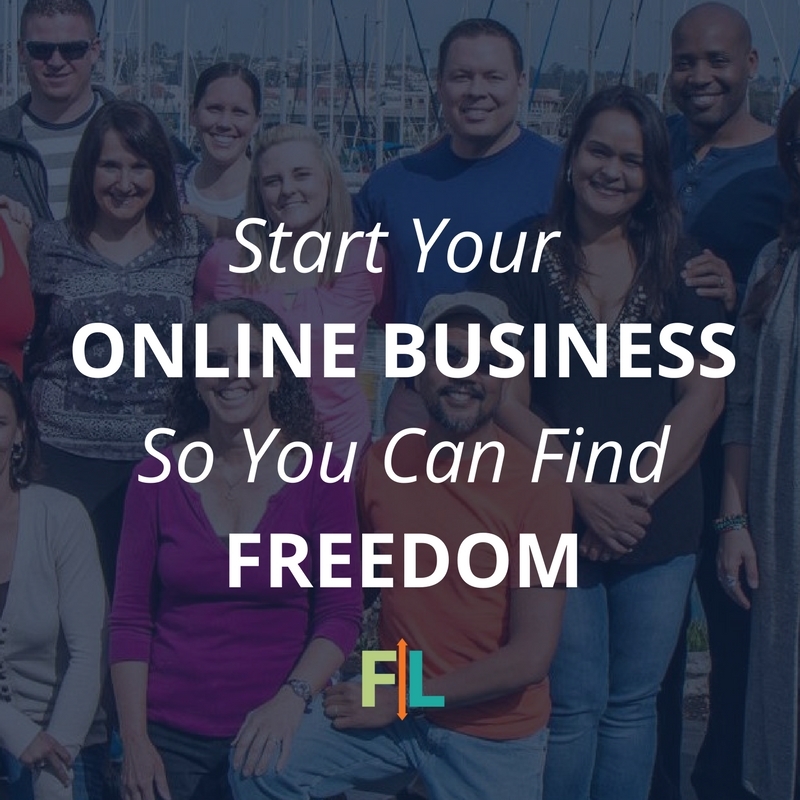 Sometimes online business can feel really separated, and it’s harder. Our brains have not evolved correctly to deal with all this online stuff that we do. Shane Sams: We can’t really separate or we can’t really keep it in our mind that those people are real sometimes because we only interact with them virtually. It can be harder to have discipline there because there’s not an expectation. We don’t feel the same expectation in the online business as we do offline or in our family or in our kids. When the kid’s crying, you have an expectation to go to their room, but when you know someone’s in your forums or you know someone’s in a Facebook group or you know they’re watching your course, you don’t always feel that same tug. Shane Sams: What we’ve had to do is build in consistencies, build in one thing at a time brick by brick that we do. For example, last year I decided that I was going to email our list every day. That was my goal. I’d say I’ve succeeded at that goal at least 80% of the time this year. It was the same reason I actually set that goal was I felt all these things that I was having to do, and you said, “I’ve got this big to-do list. I only get through two of them.” Well, that’s because two or three of them are actually the only important things. You just have to pick which ones are important and forget the rest. Shane Sams: This year what Jocelyn did really consistently was Jocelyn was in the forums pretty much every day. She also, what do you use to send welcome videos? You do something. Shane Sams: Yeah. We use that app called Bonjoro, and everybody that joins Jocelyn sends a welcome video. We picked these two things. She was going to welcome people and be in the forums, and I was going to email our list every day, to contact our list. We just didn’t even care if any of the other things were right or wrong because there is no right or wrong. There is no right or wrong answer; there’s just an answer. There’s just an action step. Jocelyn Sams: I think going a little bit deeper into that is that we had basically two objectives for this year, and those objectives were to get more members, which Shane did by emailing and reminding people to join, and we also had the goal of keeping the members that we already have and making sure that people feel welcome. Shane Sams: There’s only so much bandwidth. Jocelyn Sams: … what are the priorities. What are the two or three things that you have to do, and everything else is just a bonus. Shane Sams: Also too, that’s an interesting way that you said that, like what are the two things you have to do? What are the three things you have to do? We get this question a lot, what are my priorities? What is the right thing to do? We don’t actually approach it that way. We just say, “What are the two things we’re going to do?” I’m not saying that emailing all the time is right. I’m just saying I knew that it was something I would do. Shane Sams: Jocelyn’s not saying that hey, these welcome videos are the exact thing you should do and because you heard that on your podcast what you should do. It’s just a thing we picked, and we decided last year, right, wrong or indifferent, we weren’t going to write a to-do list that was that long. We weren’t going to look down at a to-do list every day of 14 things and say we didn’t get 11 of them. That’s just making yourself feel like a failure. We were going to pick the two things that we knew we would do every day, and we were going to do those. Once we built that capacity, we might add another thing. Shane Sams: Next year, I really, really, really want to add YouTube videos every day. I just want to wake up at 6:00 in the morning, do a 15-minute YouTube video every single day, and that’s the thing I add, and then I’ll write my email. I think I can do that now. Shane Sams: Yeah. It’s also people get so caught up in their to-do list. You’re caught. You probably feel bad because you’re not getting these other things done, and it’s starting to weigh on you, right? Shane Sams: But people need to think about what they need to do in more categorical terms and not worry so much what’s right and wrong. Because if you think about this, okay, I have an online business. There’s really only three things that we have to do. One, we have to promote it. Two, we have to create content. That’s just a part of it. Three, we have to interact with our people. It doesn’t matter how I do those three things. Okay. Content, well, should I podcast or YouTube channel? It doesn’t matter. Should I blog or should I write books? It doesn’t matter. Jocelyn Sams: Whatever you’ll do. Shane Sams: Just do content. Promotion, should I email my list every day? Should I run Facebook ads? Should I run YouTube ads? Should I go on other people’s podcasts? It doesn’t matter. Pick one that you’re promoting. 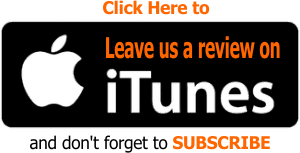 We promote by going on other people’s podcasts, and we promote via email. That’s just it. I know we’ll do that, so we do it. Should I do webinars? I don’t know. Will you do it? Didn’t do it. Pick one. 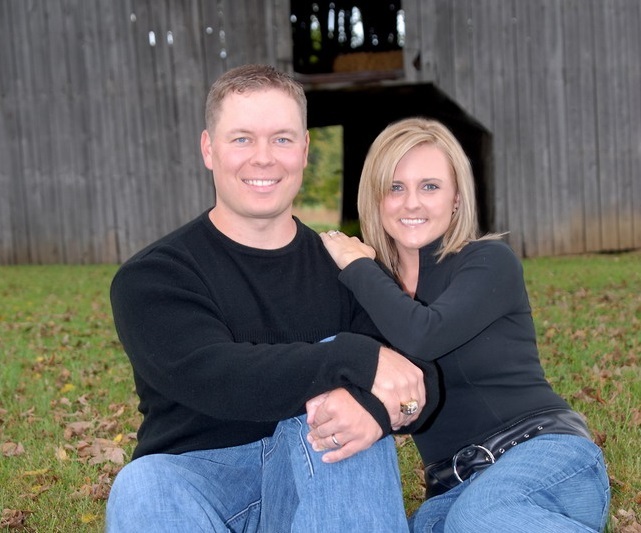 Shane Sams: Serving your members, like Jocelyn serves our members by being in the forums. I serve our members by sending them valuable content and motivation in an email. It’s the categories that matter, and it’s that you’re doing things within the categories, not what you’re doing. Shane Sams: The problem is you’ve got people like Gary Vaynerchuk and all these other knuckleheads running around out there telling you to work 80 hours a week, and if you don’t do 100 social media posts, you’re a failure. And if you’re not on Facebook, Instagram, Snapchat, Twitter, if you’re not on all these things, and that makes people like us feel bad, make you feel bad because you’re not achieving … You’re not ticking off the to-do list. That’s all a mirage anyway. That’s all fake. That’s all what they present to the public world. Jocelyn Sams: What I would ask you to do is to identify the two or three things that are most important to you. Maybe it’s growing your membership, so you need to figure out a consistent way to do that that makes sense for you to do and that you know that you will actually do. Maybe it is serving your current customers, so you need to figure out a way to do that consistently. Shane Sams: Usually, pick one thing, and until you’ve mastered it into a habit, don’t worry about all the other stuff. You just got to pick the thing that will serve them best. Jocelyn Sams: Then everything else is just a bonus. Does that make you feel a little bit better about being spread too thin? Shane Sams: Let’s talk about your categories though. Let’s talk about you, okay? Shane Sams: Okay. I gave three things there. These are the three things we think are the most important, promotion, content creation and retention. Those are the three big things that you really have. What really is the one thing that you could do to promote your business that you like to do, like to get new people to discover you and to keep reminding people to join your membership? Rocio Baeza: Yeah. I would say doing live short videos on LinkedIn. LinkedIn is where my avatars would be hanging out at, so that would be one area. Then the second area for promotion, it would be just running ads. Before I started GDPRStandUp.com, I initially was trying to build a virtual community to serve the entire cybersecurity market. Looking back, that was a very dumb approach. I was trying to serve everyone, but at the end of the day I wasn’t serving anyone. Rocio Baeza: It was through that trial that I figured out how to do a Google ad campaign, and I was able to set it up. I ran a few ads, but I’ve never actually tried that for GDPRStandUp.com. As you’re asking me how can I promote my community, Google ads is definitely something that I learned how to do, but I haven’t implemented that for GDPR. Shane Sams: Okay. Let’s imagine this. You’re going to take one day a month and work on Google ad. Then three days a week you’re going to do a 15-minute LinkedIn video. That’s 15 minutes, let’s say, Monday, Wednesday, Friday, and one day a month you just got to block it off, go get alone in a coffee shop somewhere and get your Google ad for the month set up. Let it run. You’re not going to work on it every day. You’re not going to look at it every day. You’re going to set it and forget it until next month. Then you’re going to evaluate and change. Shane Sams: Now look what we’ve done. We’ve got one day, and then we’ve got a commitment for a 15-minute LinkedIn video on something topical that you can talk about for 10, 15 minutes. This is totally like when I say 15 minutes, I mean you get a piece of paper and pencil, you write down three bullet points you want to address about a topic, and you turn the camera on and just talk. Jocelyn Sams: The way that I do it is on Post-it notes, and I just stick them to my computer. Shane Sams: Okay. This is just content right now. There’s promotion, done. That’s what you’re going to do. That’s what you’re going to do. All right, now what about content? What other content are you creating beside these videos? Do you blog? Do you do videos, podcasts? What do you do? Rocio Baeza: Yes. I am now doing podcasts. The idea is record an episode, get a transcript, convert that into a blog post. Shane Sams: Perfect. That’s what we do. Rocio Baeza: Yes. It took me a while to figure it out and see how simple it can really be, how you can create an explosion of content just doing things strategically. Shane Sams: What is your recording schedule? Do you batch these? Rocio Baeza: Yes. It would be once a month I batch four sessions at a time. Shane Sams: Okay. That’s cool. Let’s just do that. I think you’re feeling a little overwhelmed. It might be better to do every two weeks do three. Because what’s going to happen is every month you’re going to do six, you see what I’m saying? You won’t have to do so many at once. You can just do three and then three and then three. Eventually, you’re going to get so far ahead that you can actually take two weeks off and start doing it less again. Shane Sams: What I want you to do is, all right, let’s go back. Monday, Wednesday, Friday, let’s say you’re going to do a LinkedIn video. Every other week on Tuesday and Thursday, just record some podcasts and make it real consistent. That’s all you’re going to do. That’s the only content you’re going to create. That’s it, period. Shane Sams: You can take those videos from LinkedIn and embed them on your site, but that’s it. Don’t do anything else. Don’t worry about what everybody else says you should be doing, you should be blogging, you should be YouTubing, you should be doing … You’re a podcaster. Just do that for a while. Shane Sams: Then retention, how are you serving your members? Rocio Baeza: That’s rolling out a course on a weekly basis. Shane Sams: Why weekly? Are you just not done with the whole course yet? Rocio Baeza: I am not done with the whole course yet, and I figure that weekly would be a good way of just providing value to the members and holding myself accountable of building a product or a set of products. Shane Sams: When does that end? Rocio Baeza: When does that end? I don’t have an end date yet. The interesting thing with GDPR, Shane, is it’s still very new. It’s something that I’m still learning, so I’m learning. Shane Sams: How many courses? How many videos do you have so far? How many videos do you have? Rocio Baeza: So far I have about eight. Eight. Shane Sams: Okay. You’re going to get to 12, and then you’re going to change it to where it’s a Q&A every two weeks. The Q&A questions will become your content. That’ll still be relevant, but you’re going to stop trying to figure out what people want. You’re going to just let them ask you, and then you’re going to tell them. If they ask you a question that you don’t know, you’ll say, “I’ll look that up, and at the next Q&A we’ll talk about it.” You see what I’m saying? Shane Sams: I feel like that’s where I see your energy drain now. It’s coming from what’s next, what’s next, what’s next, and that’s overwhelming everything else because you’re trying to figure all this out in your course. There has to be an end date on your course. You’ve got to have the basics covered, and then you’ve got to figure out what people need. That’s why we do Q&As. Shane Sams: Because I can’t guess what Rocio needs. You’ve got to ask me what you need. Shane Sams: Once you ask me, I know, and that’s no energy on me. If I spent eight hours today trying to guess what you were going to ask us, my energy would be shot for anything else. But I just showed up, and you asked me, and now we got an answer. That’s where you’ve got to get to. Shane Sams: Let’s cut it off at 12. Anybody that joins, they can go start taking those 12 courses, and then use Q&As to ask them anything else. That way you got an end date for all that content. Now, if you come up with something and if you see somebody asking you, if you have 10 people in 10 straight weeks ask you the same question, what should you do? Make a course. Rocio Baeza: Build a course. Jocelyn Sams: But people love the Q&As. They have an opportunity to ask a real-time question. You answer it. There’s no preparation on your part, and people just show up. It’s awesome. We’ve been doing it for a long time now. Shane Sams: Okay. That’s your to-do list, those three things, period. Shane Sams: Let’s go forward with a little clarity, and let’s commit to trying this for six months. Let’s see how things grow, and then we’ll make some pivots and change and evolve as we go. Now it’s not about, you don’t have to find discipline. You just have to decide what you’re going to do and do it, and if it doesn’t work, we’ll just go back and do something else. Okay? Rocio Baeza: Wow. Okay. That sounds like a plan. Jocelyn Sams: All right. Well, we have had an awesome chat with you today, and we would love to know in the next 24 hours or so, what are you planning to do based on what we talked about here? Rocio Baeza: I’m going to make a list of the last four courses that I’ll be recording, and I will create a schedule as to when I will be creating it so that I can make that mental shift to just focusing in on the Q&A. Shane Sams: That is an awesome plan. All right. Before we go, we love to share a Bible verse with everyone out there in the Flipped Lifestyle audience. Jocelyn and I get a lot of inspiration from the Bible for our life and our business, and we’re super excited because Rocio has a Bible verse that she would like to share with you guys today. Shane Sams: That was a perfect verse for today’s discussion as you were actually wrestling with discipline. I think, hey, now we’re going to have the discipline and do the things we got to do and keep moving forward, right? Rocio Baeza: There you go. There you go. Yes. Shane Sams: That’s a good job. Well done. All right, guys, thank you so much for tuning in again today to the Flipped Lifestyle Podcast. What a great talk that we had with Rocio, and I loved how she used Flip Your Life Live as the catalyst not only to get everything prepared but to take action afterward and launch her online business. Shane Sams: We would love for you to have that kind of inspiration, that kind of motivation on your calendar as well, and you can do that by joining us at Flip Your Life Live 2019. It’s going to be in Lexington, Kentucky from September 19th through the 21st, and you can find out all of the information about Flip Your Life Live at flippedlifestyle.com/live, flippedlifestyle.com/live. Go there right now, check out everything that we’re going to be doing there. Shane Sams: It’s going to be an amazing event. We’re going to have people from all over the world, all over America there, family-focused entrepreneurs building a better future for their families. That’s flippedlifestyle.com/live. We can’t wait to meet you in person this September. That’s all the time we have for this week. As always, guys, thanks for listening to the Flipped Lifestyle Podcast, and until next time, get out there, take action, do whatever it takes to flip your life. We’ll see you then.